Thomas’s death was announced by his family and close friends on May 3. The cause of his death has yet to be reported. Thomas’s death comes just a few short months after the death of his husband, Phil Hoskins, in November 2017 because of health issues. They met one another at local bar Motherload and were together for approximately 23 years. Thomas grew up in Van Nuys. He attended Pepperdine University and after graduating from Loyola Marymount started working at Groove Radio. After that he was hired by friend and fellow DJ Chris Cox as his assistant at Thunderpuss Studios. Thomas then joined Barry Manilow’s Stiletto entertainment. 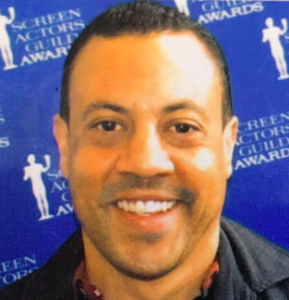 Later he spent 15 years working for the Screen Actors Guild as the national manager of member education and outreach for SAG-AFTRA. Thomas’s other passion was music. He started DJ’ing in high school and was the resident DJ of local nightclub Micky’s West Hollywood in the ’90s. He later also was resident DJ at the Red Dragon Party at El Rey, a position in which he created a CD called “A Night at the Red Dragon.” Thomas also DJ’ed at The Abbey and Rage. One of his notable accomplishments was becoming a reporting DJ for Billboard from 2000 to 2009, where his playlists and those of other select DJs were used to compile the Billboard Dance Chart Lists. Chris Cox, a friend of Thomas and a fellow DJ, said that he was “universally loved” and the favorite dance partner of every older man and straight girl in any given room. Friends posted other remembrances of Thomas on social media. “Truly a sad day for me and the DJ community, to learn of the passing of a kind and talented soul,” said Mark Vdh. “Ron Thomas made everyone smile with his infectious energy and devilish good humor yet must have been quietly having a very tough time after losing his longtime partner Phil late last year. A memorial is expected to be held during this year’s LA Pride weekend. He was a great DJ. I loved Groove Radio and in no small part because of his mixes.